Create engaging experiences for employees and guests while fueling business intelligence. Aruba’s location-based services bridge the gap between digital and physical worlds, engaging employees and customers in new ways, and creating business opportunities and efficiencies. 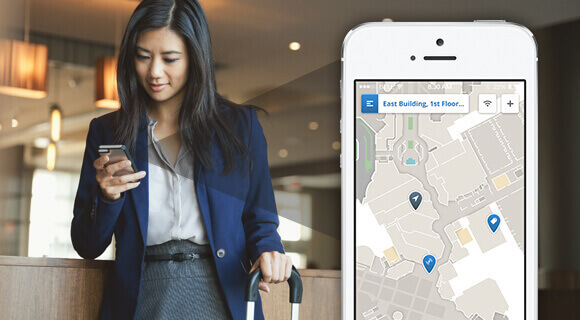 Our location-ready infrastructure enables wayfinding capabilities, proximity campaigns, asset tracking, and location analytics. Locating high value assets just got easier. 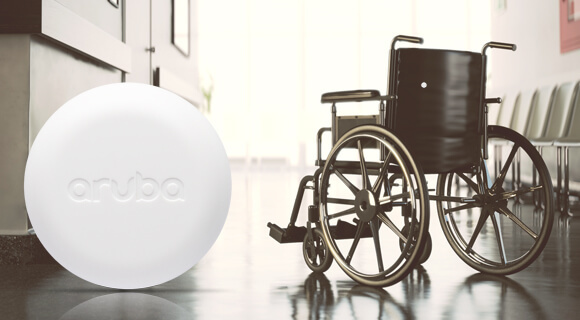 Aruba’s groundbreaking asset tracking solution can help you quickly locate business critical devices or inventory —like wheelchairs or pallets of retail goods — so your staff can focus on more important things. 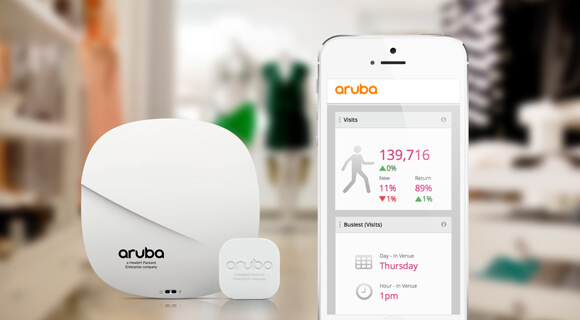 With BLE-enabled Aruba Tags and your existing location-ready Aruba wireless network, deployment is fast and easy. Wi-Fi analytics give you the big picture. The Aruba Analytics and Location Engine (ALE) allows customers to collect Wi-Fi-based analytics from an Aruba infrastructure of location-ready APs. Get data for dwell times, traffic flow, zone analytics, or campaign effectiveness to help drive smarter business decisions. Deliver venue-relevant content with a custom mobile app. Scale your mobile engagement deployments over any Wi-Fi network. Whether you’re a retailer, hotel, hospital or large public venue, we offer a better way to give customers and other visitors secure guest access to wireless and wired networks. Aruba Wi-Fi and location services serve 32 million passengers and improve operations at Rio de Janeiro’s airport.